The quality shows. Whenever I see quality, I am inclined to make the most of it, whether it means buying a product, enrolling in a course, or subscribing to a blog. The problem is, for most, it is hard to describe what makes a blog so full of value that it becomes impossible to ignore it. So, here are five things that some of the excellent blogs do right and are the reason why I am subscribed to them. Any blog I subscribe to is chock-full of value. It does away with redundancies and retains the valuable elements. Every such blog has no mediocre quality posts, no extra widgets and buttons, no unintended sentences, and no fluff. It only keeps what is important to me. No element and not even a single dot on a blog should be there without a reason. Most readers have very short attention spans and they’ll likely be itching to go to the next web page if you don’t grab their attention the moment they arrive at your page. If you eliminate the redundancies and make the quality factor your first priority, there is no reason why you won’t see an exponential reader growth. Distinct style of the blog author is what I notice first sub-consciously. I immediately notice that this is not just another of thousands of similar voices. It presents the common observations in a new way, and it carries with it the personality of its author. Your style is how you say things, how you spell them out, and how you present them thorough your unique perspective. Your words, your grasp of the language, and your know-how of your subject matter define your style. The more eloquently you say it, the more uniquely you convey it, and the more information you put into your content, the more your refine your style and increase your chances of holding your readers’ attention. I am pushed to perform a certain action, given reasons to undertake a certain task, and urged to do it NOW. There are no weak trailing dots, requests to “please” do it, and vague pointers that lead me nowhere. I am clearly told that if I do it, here’s how I’ll benefit from it. It is vital to get rid of the elements that create uncertainty and doubt in your readers mind. Presenting information in a matter-of-factly and uninspiring way is not a good idea either. Instead, be clear about what you want your reader to do after reading a certain sentence or clicking on a particular link. Lay out information in a way that it makes your readers think and evaluate their opinions, and do something to change some aspect of their life. I am impressed with beautiful colors, neatly aligned columns, and a balance between all the elements present on a page. Everything seems to be just in the right place, and I find it where I expect it. Navigating through such design is a breeze, and going to the desired locations is a matter of intuition. Content is king, but design is the robes of king. How much would you respect a rag-clad beggar claiming to be king? Or how much would you like a king that goes around naked? Similarly, no matter great your content is, people will ignore it if you dress it up in a raggedy design. Give your design top consideration, and make sure it’s pleasant to look at. While I am enjoying my browsing experience on such blog, I am reminded to subscribe to it at different points, and all these points happen to be at critical places. For example, at the end of a great article, on the navigation bar with other “What’s more” links, and in the sidebar while I look for more browsing options, I am told to subscribe. Of course, I accept the offer and become a subscriber. Just putting a big and shiny RSS button somewhere prominent is not a good enough reason for your visitors to subscribe. You should remind them and tell them to subscribe, and place your subscription link where you think it’ll convince your visitors of the value of your blog. Remind them often. One of those links is sure to grab their attention. Boy! Looks like I am not easy to impress unless you do everything right. But then again, this is how most of your visitors are. By subscribing, a visitor creates a bond with you. He makes a decision to read you for as along as you write. You need to give him a reason for making that decision, and if you tale care of the above points, I, as a reader, a visitor, a subscriber, and a traffic statistic, assure you that you’ll convert every right person to your reader! I wouldnÃ‚Â´t care about a blog design as a RSS-Subscriber. I wouldnÃ‚Â´t see it too often – what means, I comment still too less. I subscribe to very few blogs. You’re one of them. and Michael from PBD too. I enjoy good content. I prefer niche blogs as well. Unfortunately my readers (though many) don’t subscribe to my RSS feeds as much as you guys. I guess it’s the location of the reader does affect RSS too. For example, the bulk or my reader comes from Malaysia and AFAIK they’re not that into RSS as other nations. WOW. You’re one tough cookie, Mohsin! I thought I was picky enough, now I’ve found another “gang member”, LOL. I guess subscribers is picky and this is a thing that should be expected by bloggers. We might be penalised for sudden low quality comments and all of these will be shown on the trend of subscribers and traffic. I totally agree with you when you say “Content is king, but design is the robes of king” thats how most judge the websites and blogs today. Great points Moshin. Your blog fulfills all of these points, otherwise most of us wouldn’t have subscribed. This is a timely post for me. I’m in the middle of finishing up a design for a new blog. I think I address all of these points, but I’ll keep the article handy for one final review before going live. I’ll be requesting feedback @ the Authority Blogger forum when the site is up. I’d appreciate your impressions. Marco, but if a blog has bad design, I’d be reluctant to subscribe to it. And even if I subscribe, I’ll have to visit the blog often to read or make comments. So design does matter. What do you think? godlfries, oh wow so I am doing everything right? Well, if your audience is not familiar with RSS, you should educate them. 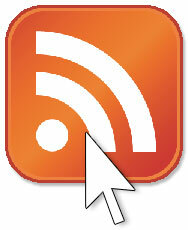 Beside your RSS link, place a link to a page that contains a short FAQ about RSS and its benefits. I have done that too on my dedicated subscribe page. Let me know how it works out for you. Pelf, I guess most of us are tough cookies. It’s just that I have taken the time to explore why I am so I am sure many web savvy users are very picky when it comes to subscribing to a blog. Wayne, right you are. Bloggers shouldn’t be allowed to slack! Aaron, I visit AFB almost daily, so I’ll make sure I drop my two cents in your blog review thread When are you launching your new blog? All are very good points Mohsin. Another factor for me is how I found the site. A recommendation from another blogger might make me more likely to subscribe than if I run into a new blog on StumbleUpon. Mohshin, I’m planning on launching by the end of the month. Right now, I really need to create a backlog of articles for those times when I’m too busy to write. For example, I’ll have another daughter born in March, so I really need a couple weeks worth of articles in reserve. Tibi Puiu, well, I am subscribed to your feed anyway. Do you still call me pretentious? Steven, yes that matters a lot too. But if you first come across a site through StumbleUpon, and after a few days you reach there through a friend’s recommendation, it will strengthen site’s branding, and you’ll no doubt subscribe to it. Those are some good points. I think they key factor that leads me to *unsubscribe* is too many posts. When people say that feed readers will unsubscribe if you don’t post enough, I disagree. When a feed is inactive, it just sits there — it doesn’t do any harm. I quite like the blog Lifehacker, but it updates so frequently that it fills up my feed reader, so I don’t subscribe to it. I never remember to check blogs I’m not subscribed to, so it doesn’t get read. I’d prefer quality over quantity any time. I second Skellie’s point. I am subscribed to several frequently updated blogs, but it’s primarily because I feel the need to follow along (for future networking reasons…). I prefer regularly published, but more importantly polished articles/posts. It takes a lot of work to post daily or even multiple times daily without crappy posts slipping into the flow. Problogger would be a good example of walking the tightrope between too many posts and the declining quality that comes with numerous updates. Keep in mind that Darren isn’t even doing all of the posting himself. He’s offshoring it to people like Skellie! Bad blog design might put me off as well. I close the window if I see a badly designed blog. I end up not subscribing. What a thought provoking blog post, can I set it up so I receive an alert email when you publish a fresh post?